IN NEED OF A FULLY INSTALLED PERTH PATIO OR DIY PATIO KIT? We are your patio builder Perth, with more than 15 years of experience in this industry. 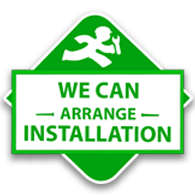 Because we are the terrace installers that are right for you. So, do you need competitive terrace prices? contact us today to get a free offer at your place. From the start of the project when dealing with shire, to long after the install of the patio, and then we make sure your patio exceeds all expectations. We are absolutely committed to customer care and ensuring the patios of Perth WA are serviced to the highest of quality. Please browse this website to correct the difference between My Patio before you do anything else. Because this website is full of ideas to improve your outdoor space. Gable roofs are classic, angular shaped roofs that cover an oblong or square space. Gable patios have peaked roofs, giving extra height to the open space, an excellent addition to any home. Our flat roof patio designs are Shire Approved and cyclone rated to add value to your home. If you looking for the perfect outdoor entertainment area with a lots of style, normal roof or insulated, contact My Patio! Australian made carports manufactured to protect your home and lifestyle with a covered area. At My Patios, we’re confident that you won’t find a better price on patios, pergolas, carports. Because we always do our best to beat your quote. My Patios are specialised patio manufactures in Perth WA. Because we are price competitive when it comes to Manufacturing and installing patios. So, Contact us today for your free on-site quote.